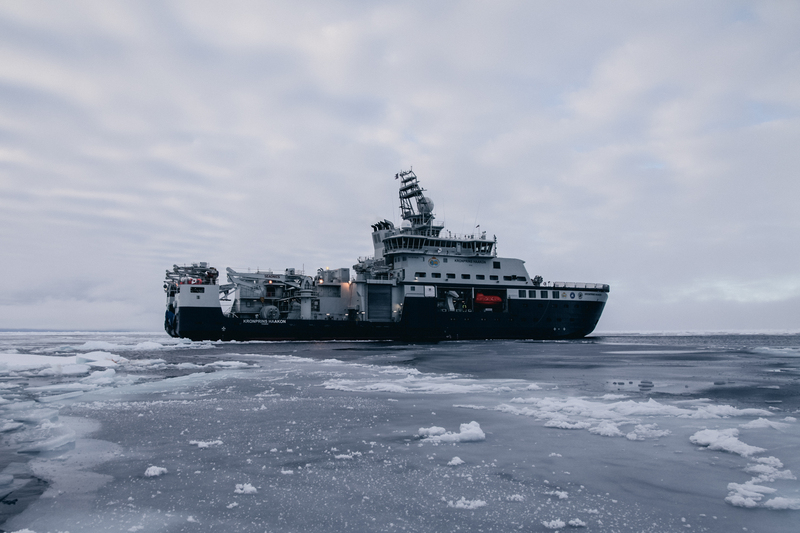 The Nansen Legacy project aims to understand more about the climate- and ecosystem change in the Arctic. 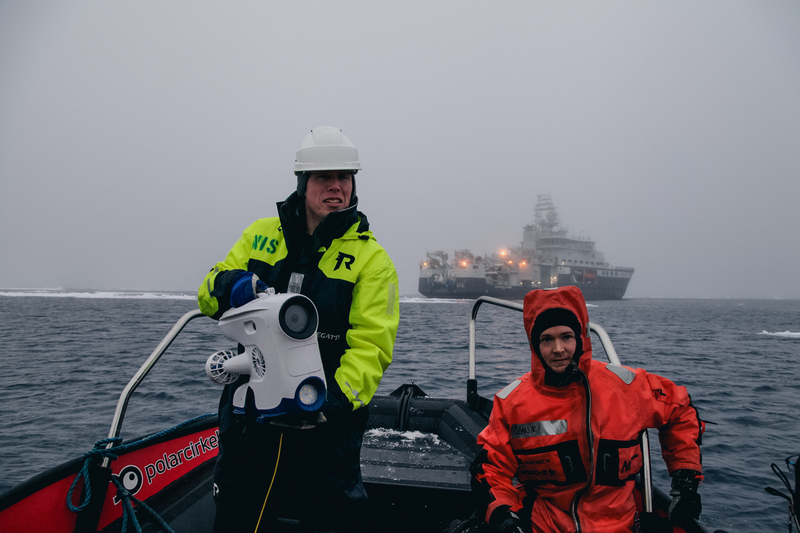 With a team of researchers from six different Universities, our Co-Founder Martin Ludvigsen brought the Blueye Pioneer underwater drone to the Barents Sea on the RV Kronprins Haakon. The research objective was to identify and quantify the process that are important for the heat budget of the ocean north of Svalbard. In addition to co-founding Blueye Robotics, Martin Ludvigsen is a Professor and manager of the Applied Underwater Laboratory (AUR-Lab) at the Department of Marine Technology at NTNU. With a research team lead by Prof. Ilker Fer from the University of Bergen, Martin and the Blueye Pioneer joined the research vessel Kronprins Haakon to the North of Svalbard in the Barents Sea to understand more about the heat budget of the Arctic and how this information could provide important pointers to how our climate is changing. 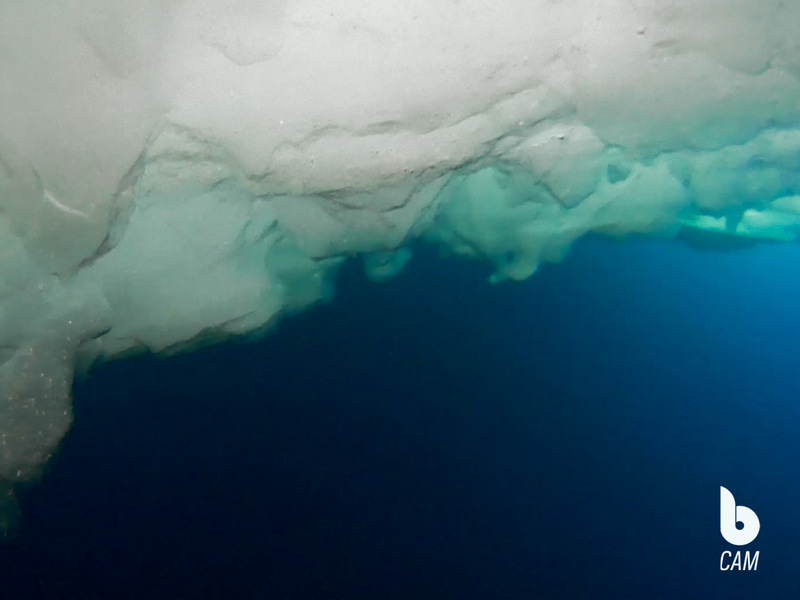 The underwater drone served a purpose as providing an impression of the underside of the ice floes as the research vessel moved forward into the Arctic ice. 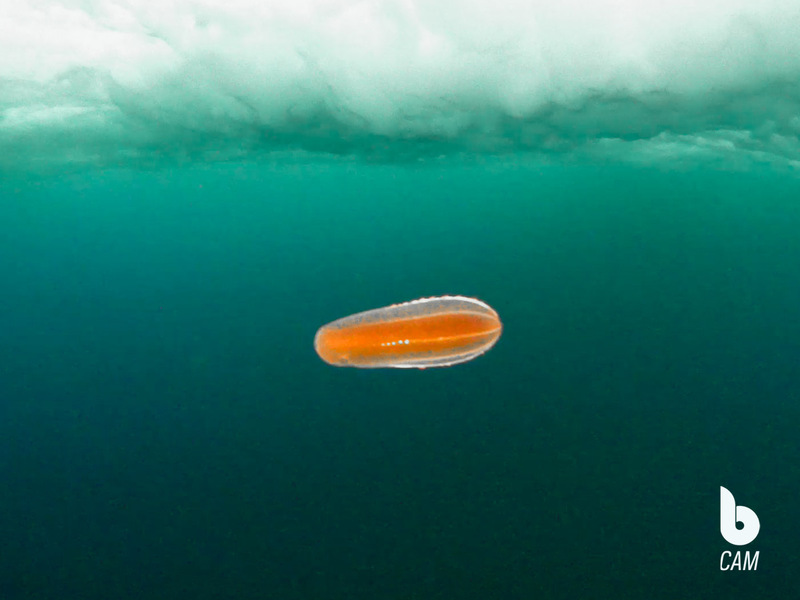 In addidion to observing the underside of the ice, the research team also both captured images of a wandering polar bear and a Comb Jelly (possibly a Beroe Cucumis). Using the Blueye Pioneer underwater drone for research below the surface gives researchers the possibility to stay in a fixed position or move slowly for thorough inspections, provide powerful LED lights when operating in dark waters, a battery life of 2 hours and records full HD video with easy transferring to you preferred device. The drone is also designed to handle both tropical and arctic waters. Interested in reading more stories like this? We have also attended other research projects at e.g. Svalbard and Great Barrier Reef.